This course is designed for students new to the action shooting sports, and who want to get an overview of the sport in a safe and fun learning environment. 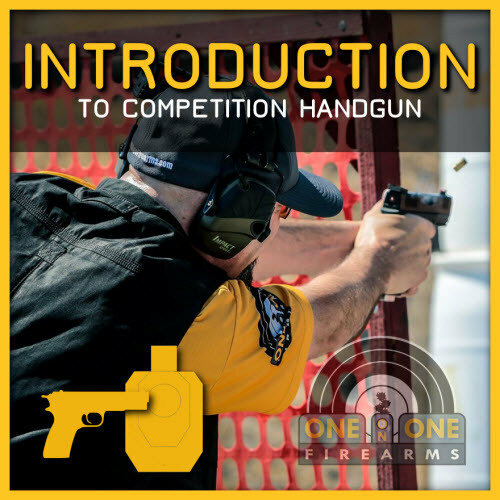 The course focuses on International Defensive Pistol Association (IDPA) rules. Our professional firearms instructors are Master Class shooters who regularly compete in sanctioned IDPA matches at the regional, state, national, and even world championship level. The course will cover safe firearms handling, firearms safety rules, and IDPA rules. Students will safely draw the pistol, and will shoot stationary, while moving, and from positions of cover. The desired outcome is that each student has the ability at the end of class to successfully navigate their first IDPA club match. Students can test their skills even more at the end of class, with the option of shooting the IDPA Classifier (additional $20) Successfully completing this class qualifies students to participate in an IDPA match with Sacramento Defensive Pistol Shooters. Note: Range fees of $16 are the responsibility of the student, and can be paid directly to your Instructor on range day. Hit an IDPA official target at distances of 3 - 20 yards with “relative accuracy”. If you have successfully completed ONE on ONE Firearms Handgun 2 course, you will have met these requirements. If you do not meet the criteria above and you are interested in a basic handgun course, contact ONE on ONE Firearms for our Handgun 1 – Foundations class or a private range session. A double magazine pouch that is worn on the belt. In order to be best prepared for this class, students MUST download and review the current IDPA rule book prior to class. RANGE FEES: Range fees of $16 are the responsibility of the student, and can be paid directly to your Instructor on range day.